In October of 2010, Kelly Dillon experienced a violent seizure while she slept. Doctors quickly determined the cause: a brain tumor in the frontal lobe of her brain. Medical equipment in Panama, where was born and raised, was insufficient for the surgical procedure she needed so Kelly traveled to New York City to undergo surgery. At age 28, she was diagnosed with Stage 3 cancer composed of malignant anaplastic astrocytoma cells. Intensive radiation treatment and a year of chemotherapy followed. After this initial treatment, Kelly was able to move back home. She married Hector Lopez, the love of her life who had walked through the treatment journey alongside her. 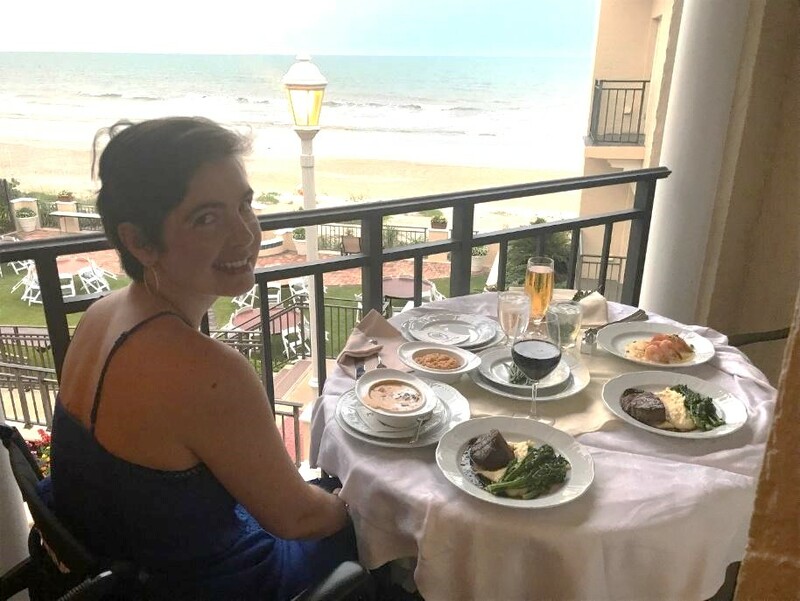 Despite facing an unknown future, Kelly adopted what she refers to as Positive Mental Attitude or “PMA” and confronted her cancer with strength and courage. Her bravery and example have inspired many friends and strangers. 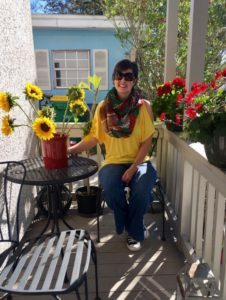 Sadly, in October 2015, her brain tumor returned and she made the difficult decision to move to Jacksonville, FL to receive medical treatment at the Mayo Clinic. Kelly continues to fight a valiant and inspiring battle and spread the word about the power of “PMA.” The tumor has caused her to lose function of her left side and she is now confined to a wheelchair. Partnering with Apryle Showers Foundation, Live for Today provided a special adventure for Hector and Kelly. 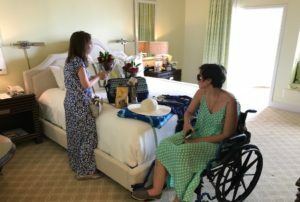 They arrived at the Ponte Vedra Lodge and Club Resort for a three-night stay in their beautiful ocean-front deluxe room. The room was decorated with flowers, and stocked with healthy and delicious snacks and food. A gift basket, full of beach necessities was provided. Two beautiful date night dresses awaited Kelly in the closet along with some luxurious pajamas and a robe to make her feel pampered. 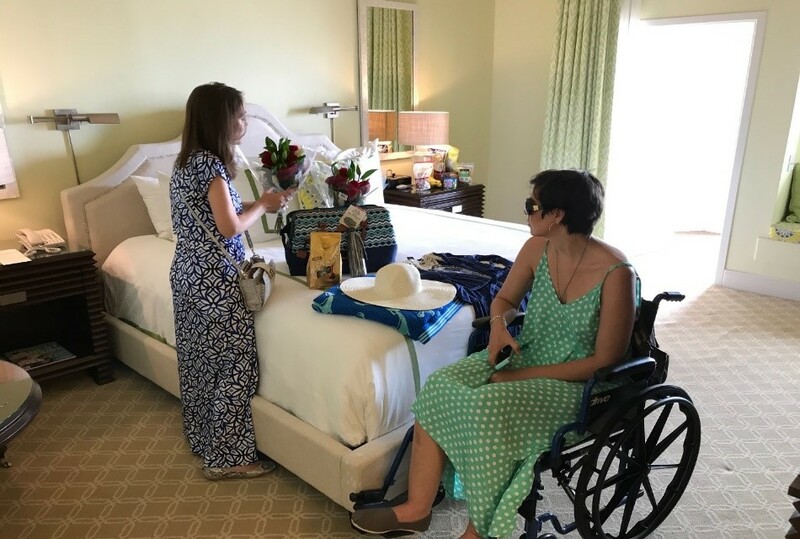 During her stay, she received a delightful manicure, an in-room massage, and access to the fabulous Ponte Vedra Inn and Club Spa. 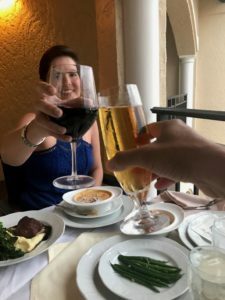 All of their meals were provided through the hotel restaurant and room service. 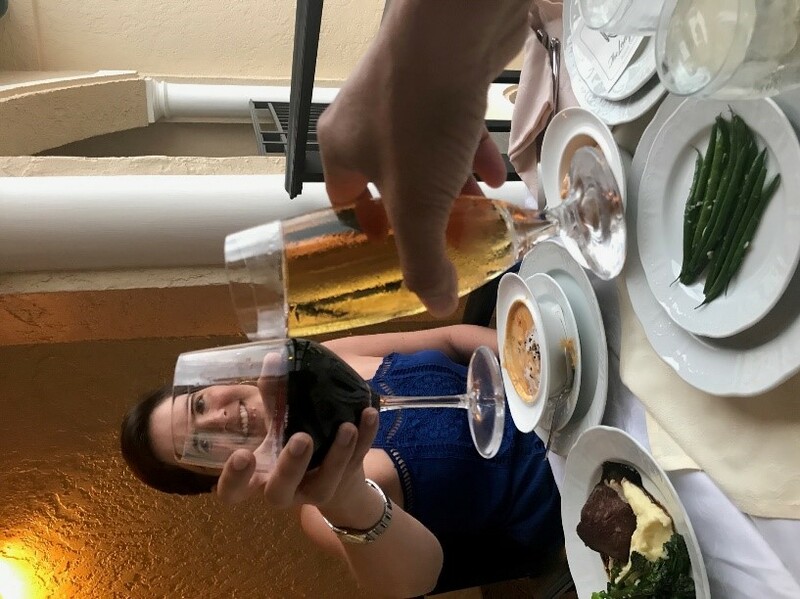 Hector worked with Live For Today to make this trip a perfect and relaxing escape for Kelly, and helped arrange a romantic candle-lit dinner on their ocean-front balcony, demonstrating his inspiring love for her. 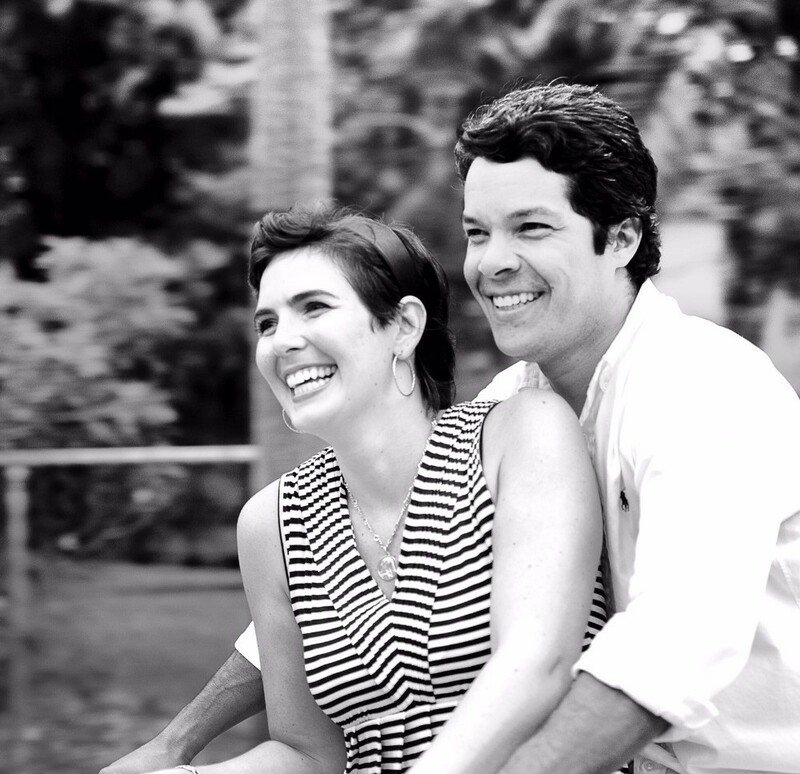 Hector and Kelly are a testament to the power of love and Positive Mental Attitude. Kelly continues to fight with strength and courage, greeting each day with her “PMA”!